Community partnerships provide critical introductions to the workplace for our students. At the same time, major corporations and business can take advantage of a workforce eager to learn and improve processes. This collaboration ultimately grants Florida a highly skilled workforce trained for high-paying jobs. Privately held software company provides the full spectrum of document, content and imaging solutions as applications and SDKs. Full-service environmental services with expertise in environmental and earth sciences, engineering, emergency environmental response, field operations & more. Florida’s oldest investment firm, Allen & Company is a full-service financial services firm. Apex Technology provides structural engineering services for the light frame construction industry. One of America’s largest privately owned, private-label tire sealant and chemical manufacturers. Advanced healthcare software developer for medication management, patient education, electronic health records and practice management. A leading innovator, maker and supplier of specialty materials and integrated solutions for microelectronics. International architecture and engineering design and construction services firm providing comprehensive and fully integrated services to clients. The council offers business services to local companies and prospective companies looking to expand or relocate. The consulting firm of design and public health professionals offers solutions of innovation, combining engineering and science. Comprehensive technology services for Florida’s small businesses. Cisco has become the worldwide leader in networking – transforming how people connect, communicate and collaborate. Integrated marketing campaigns, social media initiatives, media strategy and buying, brand development, customer and market research. Global beverage company that operates on a local scale, in every community where Coca-Cola does business. Tech incubator based in New York City gives talented people a place to create and build cool things. Leading independent data center operator offering secure and hardened colocation and disaster recovery services to customers nationwide. One of the largest privately held asset-based trucking companies in the U.S. Leading provider of control and automation systems. CSX is a leading supplier of rail-based freight transportation in North America. Diversified, multinational provider of highly engineered, technologically advanced products and services. A member of the #1 global air conditioning company, Daikin Industries. Daikin Applied manufactures technologically advanced commercial HVAC systems. Providing value to higher education professionals through design, development and support of innovative technology solutions. Data center and network-based IT professional services for businesses and governments in Central Florida. Business advisory service and advocacy organization. Coordinating the planning and development of a safe, viable, balanced state transportation system. Using advanced technology to develop environmentally sound lawn and garden products from renewable resources. International communications and information technology company serving government and commercial markets in more than 125 countries. ISN: INTEGRATED SUPPLY NETWORK INC.
Industry leader provides complete supply chain services. Global technology solutions provider to the food processing and air transportation industries. Applying advanced technology to the production of phosphate products for agriculture and industry. A private, non-profit organization with 130+ member companies and a primary role to help create jobs & capital investment. Lakeland Electric is the third largest public power utility in the State of Florida. Central Florida’s newest commercial-service airport, centrally located off the I-4 corridor. Not-for-profit healthcare facility serving Lakeland and Central Florida. Lakeland-based interactive marketing and news company. Specializing in geotechnical engineering for structure foundations, earthen structures, subsurface construction & providing other services. Setting the standard in 3D printing, 3D scanning and 3D entertainment. Advocacy organization dedicated to enhancing Florida’s business climate. Advanced engineering and products company develops and commercializes technology in high-growth markets. Microsoft develops, licenses, and supports software, services, and hardware devices. Thermal power generation systems company offering products and solutions for and in the Americas. The world’s leading producer of concentrated phosphate and potash crop nutrient. Fabrication, characterization, and integration of nanomaterials into products and systems. Helping business, government agencies and academic institutions manage emerging nanotechnology environmental health and safety risks. Promoting nanotechnology by tracking and identifying innovative applications in areas ranging from diagnostics to medical products. Studying consumers in more than 100 countries to provide the most complete view of trends and habits worldwide. Providing expertise and solutions to overcome complex national challenges in defense, homeland security and intelligence. Pennoni Associates is a multidiscipline engineering and design consulting firm that provides personalized services and solutions. Designs and manufactures thermoformers that are innovative and configurable to provide customers the quality and flexibility they want. Cloud-based security solutions for protecting web sites, data centers and enterprise IP applications from Distributed Denial of Service. Cloud-based products and services to keep digital information assets secure, private and compliant. Quality food retailer that has grown from a single store into the largest employee-owned grocery chain in the United States. Providing the features, knowledge and service organizations need for online giving solutions. Specializing in Managed Security Services and Enterprise Security Consulting to help clients maintain a secure environment. Improving data integration and visualization capabilities for the non-data scientist. Pioneer in IT security solutions, ensuring that organizations remain secure and compliant as the IT world changes. Delivering comprehensive, single-source integrated logistics solutions including warehousing, transportation, packaging and fulfillment. Softchoice helps organizations use technology to become more productive, more competitive and ultimately, more successful. Sparxoo uses expert insight to achieve breakthrough results while building lasting relationships. Offering a broad array of technology development services and business support structures for emerging companies. Designs and produces sterile medical packaging for many of the world’s medical device, pharmaceutical, and allied health-care industries. Leading medical technology company dedicated to helping healthcare professionals perform their jobs more efficiently while enhancing patient care. Promoting and enhancing the future of flight through events and education. Leading manufacturer of quality pressure-treated lumber that withstands harsh tropical climates. Develops and manages marine terminals and supporting infrastructure for the benefit of the regional economy. One of the world’s largest distributors of IT products and services. A world leader in test, measurement and monitoring technology. Innovative service and solutions to meet electronic test equipment needs. Supporting trained professionals, including psychiatrists, clinical social workers, therapists, nurses, case managers. 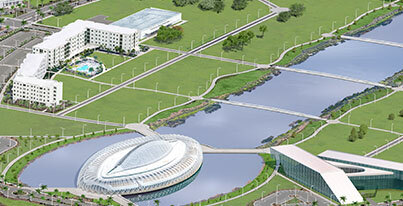 Located along Florida’s high-tech corridor, and home to Florida Polytechnic University. Performing all citrus management practices by utilizing the newest equipment and technology to limit overhead. Delivering information technology and professional services to federal and state agencies. Designs, builds, delivers and services innovative IT solutions that integrate and elevate your current systems with the latest technology. Reaching customers with coupons via mail, web and mobile. Provider of health-care and wellness solutions tailored for providers, business leaders, organizations, pharmacies, and consumers.